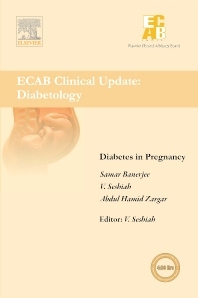 Gestational diabetes mellitus (GDM) is classically seen in about 5–8% of the pregnant women. The condition appears to be caused by the same broad spectrum of physiological and genetic peculiarities that characterize diabetes outside of pregnancy. These women with GDM are also otherwise at high risk of having or developing diabetes even when not pregnant. The controversies regarding the diagnosis, management, and prevention of diabetes in pregnancy pose specific problems in clinical practice such as how to clinch the diagnosis, when to introduce therapy, what therapy to introduce, and how to predict the future course of the condition. This book is designed to address such questions with supportive typical clinical scenarios, with which all readers will be able to identify. Thus it provides an excellent opportunity to widen one’s perspective in this area.